By the early 1900s, race relations in the United Sates had grown increasingly tumultuous. Despite the abolishment of slavery, post-Civil War America was laden with barriers for people of color. Prominent Black leaders disagreed about how best to move forward. On the one hand, W.E.B. DuBois urged his supporters to challenge racial segregation and Black disenfranchisement directly. However, Booker T. Washington, a famous former slave, advocated for a less confrontational approach. Only education, argued Washington, could lead Blacks toward economic prosperity and ultimately give them an opportunity to attain true American freedom and equality. “…Watchman, what of the night? 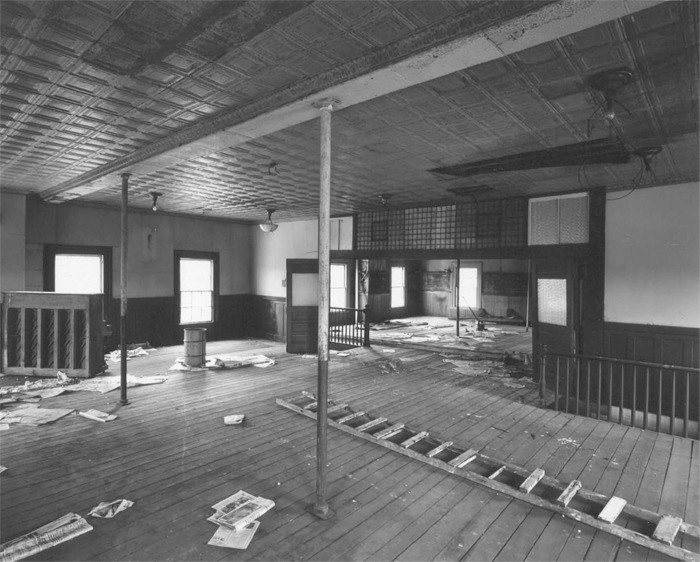 Young men at the institute were offered academic instruction as well as courses in carpentry, masonry, and machine repair. Such tremendous learning opportunities were intended to increase young Black men’s chances of gainful employment. Interestingly, Reverend Holland recruited many of his students from Providence’s juvenile court. He defended youth who committed acts motivated by poverty – such as food theft – by asking judges to place them in his care at the Watchman Industrial School rather than sending them to the Sockanosset School for Boys. The Watchman Industrial School became a beacon of hope for Rhode Island’s Black community. The variety of vocational and academic courses offered, in addition to the child care services that the school provided for working-class parents, made the Institute extremely popular – so popular, in fact, that by the early 1920s, it had outgrown its Codding Street location. Miraculously, by 1923, Reverend Holland had scraped together enough funds to purchase a spacious estate in North Scituate, Rhode Island. The four acres that came with the new property allowed for the addition of courses in agriculture, blacksmithing, shoe repair, cooking, and sewing. Additionally, Reverend Holland established a summer camp that utilized a nearby lake. Unfortunately, the Watchman Institute’s move to rural Rhode Island brought an entirely new set of problems. Within a decade of moving to North Scituate, the Watchman Industrial School was plagued by a rash of unexplained fires – vicious attacks attributed to Rhode Island members of the KKK. The hate group terrorized the Institute and its young Black residents relentlessly, hoping to force them out, or burn them out. While the Watchman Industrial School was never physically destroyed, the repeated arson succeeded in financially draining Reverend Holland’s dream. After the Hurricane of ’38 further damaged the deteriorating buildings, the year-round school closed. Reverend Holland continued to operate the Institute’s summer camp until his death in 1958. His wife continued the program until a lack of funds finally ended it in 1974. 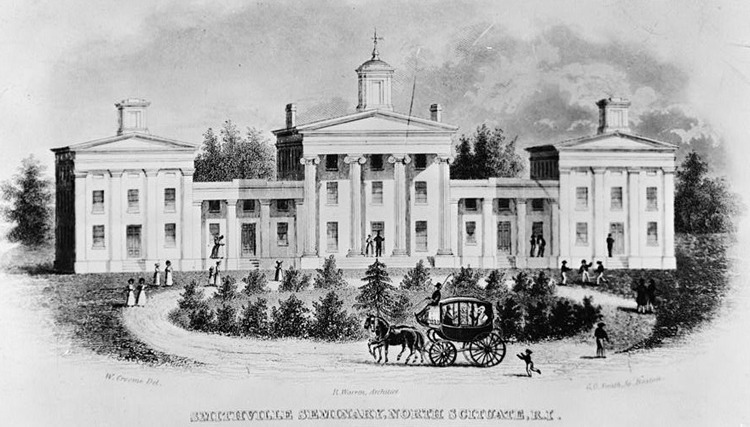 Smithville Seminary: This lithograph shows the buildings of the Watchman Industrial School as they would have looked shortly after construction. The buildings were constructed in 1839-40, by Russell Warren, a prominent Rhode Island architect for the Rhode Island Association of Freewill Baptists. They intended that the Smithville Seminary "should occupy a sort of middle ground between the Common School and the College and yet be helpful to both, by fitting teachers for the one and students for the other, and at the same time prepare a class of young persons for the discharge of the various business transactions of life by a training in the different arts and sciences beyond the scope of the common school." Pentecostal Collegiate Institute: In 1901, the Smithville Seminary property was purchased by the Pentecostal Church of the Nazarene. 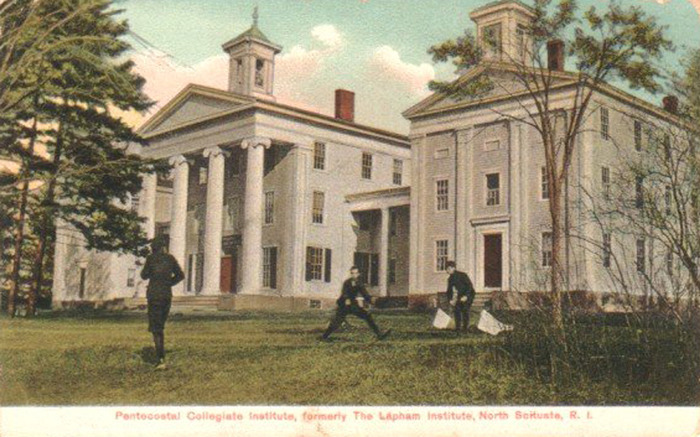 The Pentecostal Collegiate Institute, originally organized in Saratoga Springs, New York, in 1900, operated from this site for nearly two decades, offering spiritual education to young Christians and placing particular emphasis on sacred music and the training ministers and deaconesses for the Pentecostal Church. 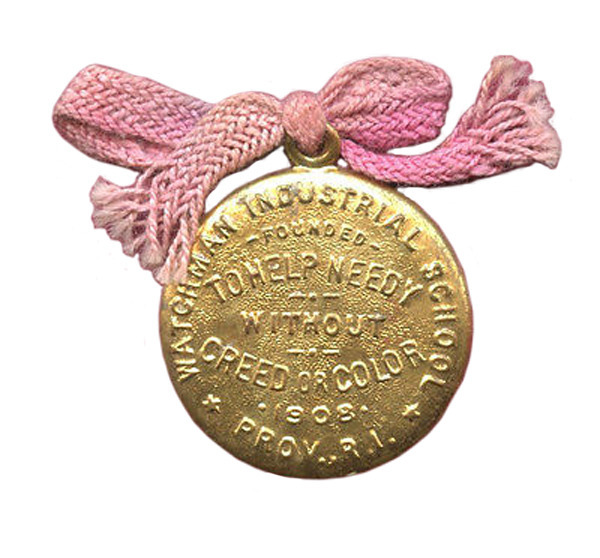 Watchman Industrial School Medallion: This medal, dated to 1908, the year of the Watchman Industrial School's founding, is inscribed with the school's mission, "to help needy without creed or color." Medallions such as these might have been given out to worthy students or used more generally to promote the school and solicit donations and financial support. Ariana Alicea and Sandra Enos, PhD, “"Watchman, what of the night? ",” Rhode Tour, accessed April 23, 2019, http://rhodetour.org/items/show/43. Dennis, Michael. “This is how a dream can end.” Providence Sunday Journal. November 28, 1976. Forty-Third Anniversary of the Watchman Industrial School and Camp, North Scituate, Rhode. Providence: 1951. 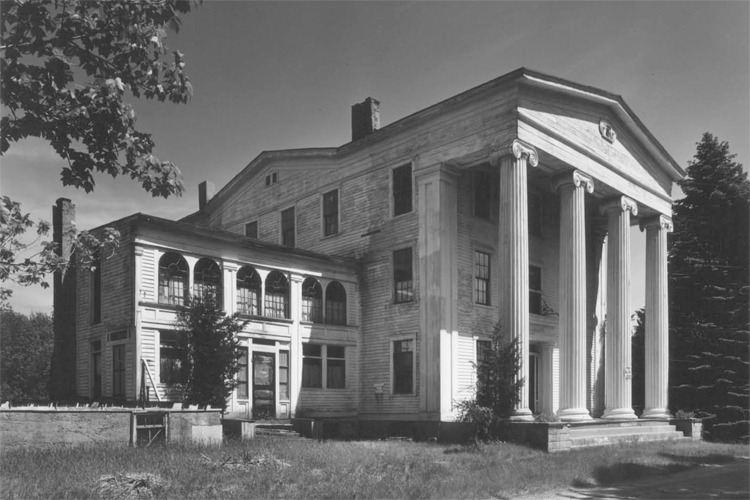 National Register of Historic Places, Smithville Seminary, Scituate, Providence County, Rhode Island, National Register #78003446. “Rev. William Holland Dies in His 93rd Year.” Providence Journal. December 24, 1958. “Viola E. Holland.” Providence Journal. October 15, 1986.